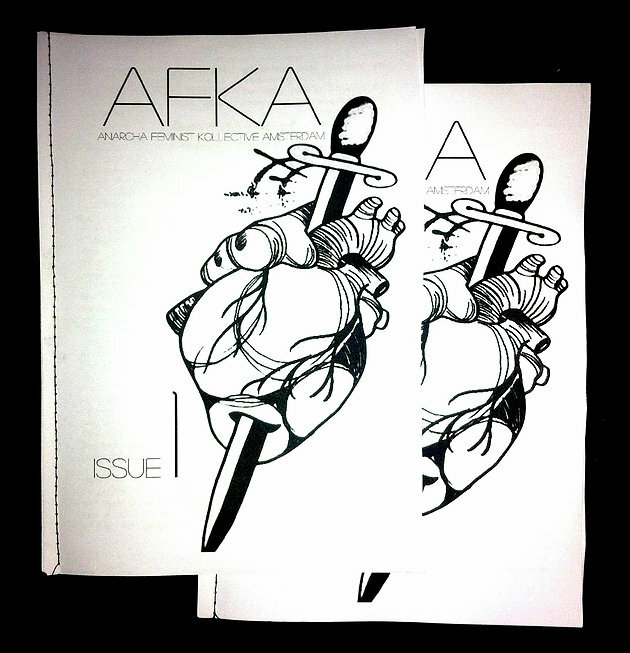 AFKA zine issue #1 is a call out for comrades in the struggle against the white capitalist patriarchy. an article that illustrates the discrepancies in how we perceive aggression. It argues that just because you don’t experience something as oppressive and violent it doesn’t mean it’s not oppressive and violent to another. It depends on your own degree of privilege. a parallel between patronizing sexist behavior in social spaces, and uncritically screening Woody Allen movies. a powerful explanation of how certain actions and how one treats people with trauma and mental health issues can provoke a re-action that is damaging to both parties. It also educates on sensitivity. Teaching each other does not have to be an exercise in hierarchy, power and authority. We need to learn to share skills in less oppressive ways; without perpetuating neo-colonial, sexist structures. This entry was written by A Inimiga, posted on 2016/07/27 at 15:10, filed under General and tagged Intersectional Feminism. Bookmark the permalink. Follow any comments here with the RSS feed for this post. Both comments and trackbacks are currently closed.